envisioning world wide web of protected data APIs. Personium is a distributed Personal Data Store(PDS) server with which various applications on various devices can read and write their data. As a BaaS software, it has proven flexibility to store variety of data from various appilcations, from electronic medical record to simple game. Personium has not only lofty visions and concepts but also proven track record. Personium is strong at this point. It has proven track records of securely storing data from various applications from medical record to simple game, which run on various platforms like Android, iOS, Windows, installed on various devices such as smart phones, tablets, PC, sensors. From functional point of view, since you can create as many OASIS OData spaces to handle relational data, you will benefit from flexible data API with advanced features such as various searchs and optimistic lock. Also, WebDAV feature enables CRUD operation of file data such as image, sound, movie media in a simple and smart manner. Personium enables secure data sharing among interconnected data stores. This feature enables such systems that multiple organizations and individuals cooperate in a complex manner. Some system may enable a home doctor to use his/her patient's blood pressure data that care workers measured a few days ago. Other system may enable a private tutor to refer to his/her student's arithmetics weak point that school teacher has just finded out. In short, it enables something new, which could not be achieved due to the separation of systems. Data stores are also interconnectable beyond the server infrastructures, because the trust among data stores is achieved using PKI technology. We signed the MyData Declaration based on our strong sympathy with its principles. 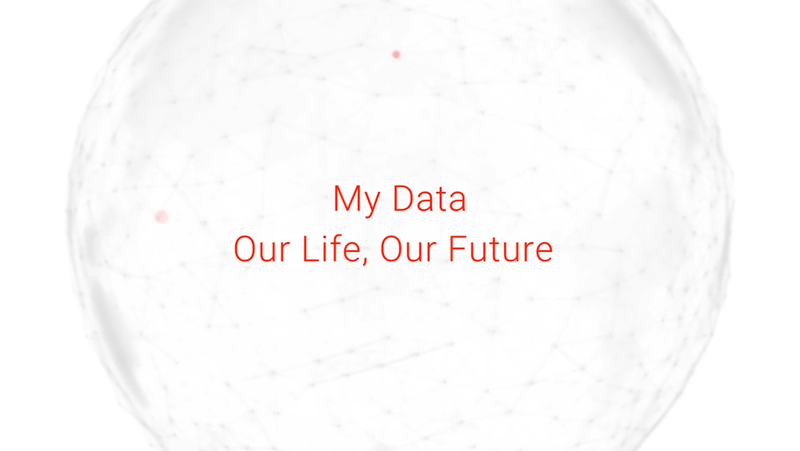 We do not think current form of computing, data-data flow is optimal for human society. It should be a common interest for all the human society to create an existence using the power of IT to support individual human information processing ability, that is, reception, recognition, memory, integration, analysis and expression of the information. Among the technical metabolism, that is, new divices, new representation techniques arising every year based on that interest, we strongly recognize the importance of a persistence layer mainly responsible for memory, in other words, an IT that keeps stablly existing throught individual human lifecycle. What is called PDS today is very close to this. And it had better be implemented in the abstracted layer 'Cloud' or Web API (as opposed to 'Client'), which is relatively free from the metabolism. Such IT for the human society, should not be put under the control of single corporate or individual, but be shared and co-created using the knowledge of many individual or corporate entities. For that to happen, that cloud technology should be open to all the corporates, organizations and individulals over the world. Our mission is to develop and keep evolving such software and grow and nourish the application ecosystem based on it. 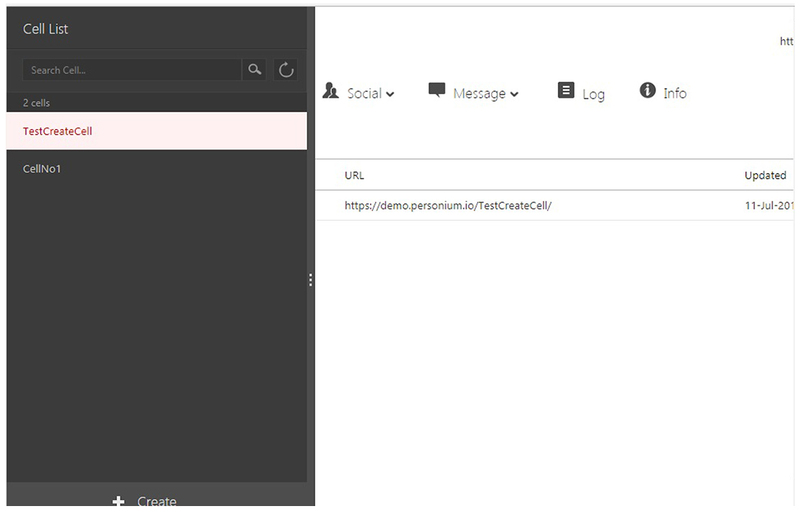 Personium is licensed under the Apache License Version 2.0. Set up your own Personium server! The introduction of Personium is opened on SlideShare. It will be a demo of the use case where the recorded data of the meal managed by the individual is controlled publicly / unpublished according to the disclosure request from the company. UnitManager is a GUI tool that helps you manage the unit cells of Personium. 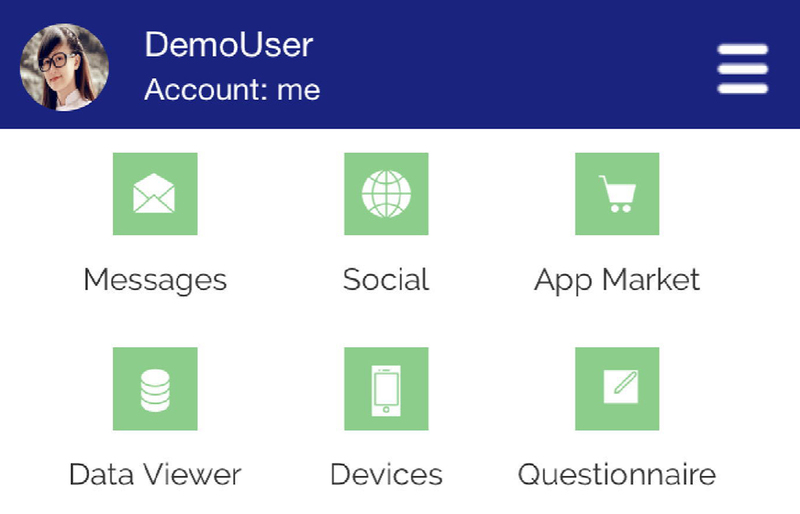 HomeApp is a Personium-based "Personal Data Store(PDS)" management application. 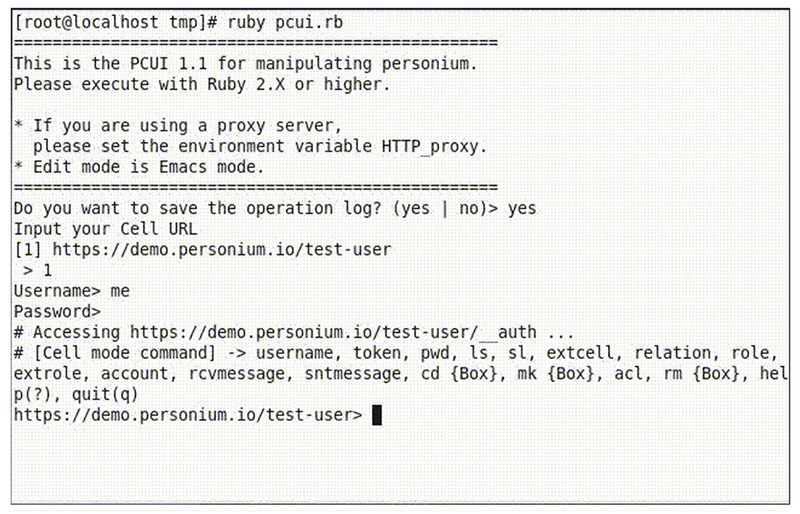 PCUI is the CLI version of HomeApp that helps you manage a Personium-based cell. 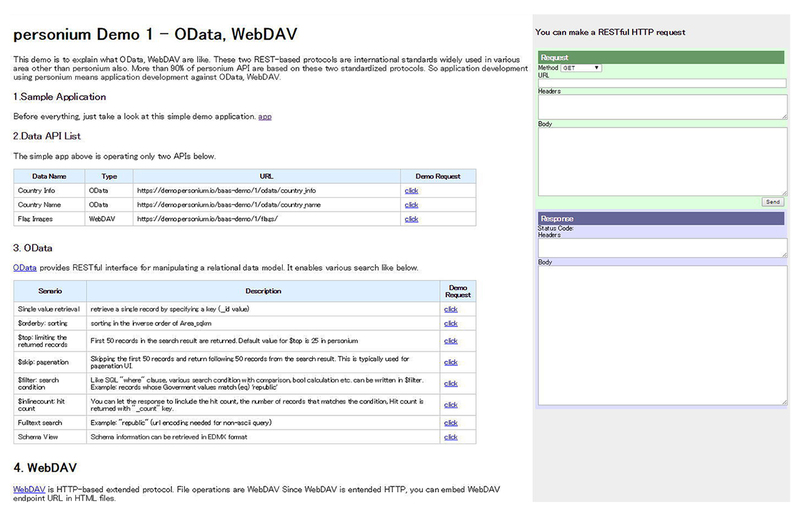 This demo explains the basics of OData and WebDAV by allowing you to send an instant request and verify the response. These two REST-based protocols are international standards widely used in various area. 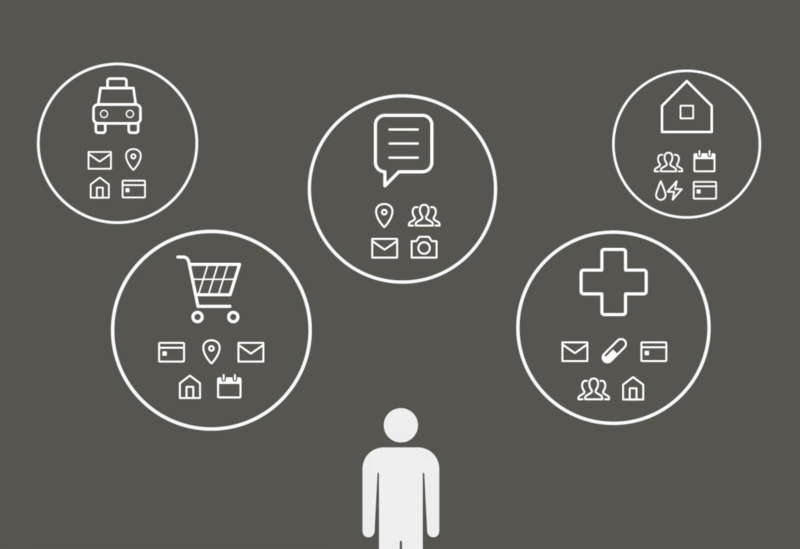 More than 90% of personium APIs are based on these two protocols. Therefore, developing applications for Personium is similar to developing any other OData/WebDAV based applications. For the Personium community, people and companies belonging to the following companies participate in various activities. For participation in the Personium project and cooperation please contact Slack Community . Slack participation registration in the community please from here .